HUB International is ranked 6th amongst the world’s largest insurance brokers with 10,000 employees across North America. In Markham, we have aggressive growth targets and client opportunities and looking to add experienced Sales Representatives to sell our Personal Home and Auto Insurance Products. We are looking for the best to represent HUB’s established reputation as a market leader. At HUB, we have a dedicated trainer to ensure you are ramped up in your role quickly teaching you our broker management system, carriers, workflows to ensure you are a credible subject matter expert in your role. We will assist you in obtaining your Registered Insurance Broker of Ontario (RIBO) License allowing you to provide advice and sell our products to customers. This is a great opportunity to work with a dynamic Personal Insurance Leader. You will decide what compensation structure you are comfortable with whether it’s a guaranteed base salary plus commission or move into a full commission structure earning up to 70% commission on new business and an opportunity to earn renewal commission. This is a great reward structure for the hard work you put in. In addition, you can enjoy 3 weeks’ paid vacation, HUB Personal Days, Group RRSP Company Matching, Group Benefits, Employee discounted Personal Home and Auto and other corporate perks for being a HUB Employee. We also offer flexibility to work from home for qualified candidates. Do you like trips? Get your suitcase ready! 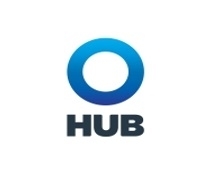 HUB recognizes top sales performance for new business. You have the opportunity to be recognized and eligible for the Enterprise, Legend, Rookie of the Year, Chairman’s Award and President’s Award. Our SHARP (Superior HUB Awards and Recognition Program) Award Winners are invited to a specific exciting destination each year. Come join our top performers at HUB! Do you want to join the list of winners? You can join many of our successful Brokers at HUB and develop a strong book of business or grow into other segments of our business in Commercial Lines, Claims, Underwriting, leadership etc. We have employees that transfer to other business units as part of their development. You have options to consider at HUB. HUB also offers an Education Reimbursement and Mentorship Programs to assist employees in their career development. HUB will become your second family and offers a great work culture. We have many generations of families that have picked HUB as an employer of choice. You can participate in many charitable events to support our local communities. Our HUB President interacts with employees at all levels and hosts Roundtable events where employee issues are heard and changes made. We encourage innovative and entrepreneurial thinking. Rob Keilty, HUB’s President’s motto is: "Always go the extra mile for your clients." If you are energetic, well networked or involved in your communities, a successful sales representative in another industry and RIBO Licensed, apply now! Does this job require travel ?